This morning I had an incredible conversation with one of my Sister Sistahs. I believe…It’s vital to have at least one person in your life that you can talk about anything with knowing that it will never become front page news. Someone you can say anything to without hesitation or fear of judgment. Just be yourself with…uninhibited. Well this particular conversation about love, heartbreak and the like fueled this piece below. In discussing her beau she made one majestic comment about him that instantly made me put heart to pen and pen to paper. She mentioned something about wanting “the cadence of his heartbeat to be her lullaby“. Whoooo Lawd Honey YES! AMAZING! You wrote what’s on my heart and I’m sure inspired so many more to search theirs to love again. Thank YOU sister. -Ride or Die for LIFE! Yowers! Now that’s passion and emotion. 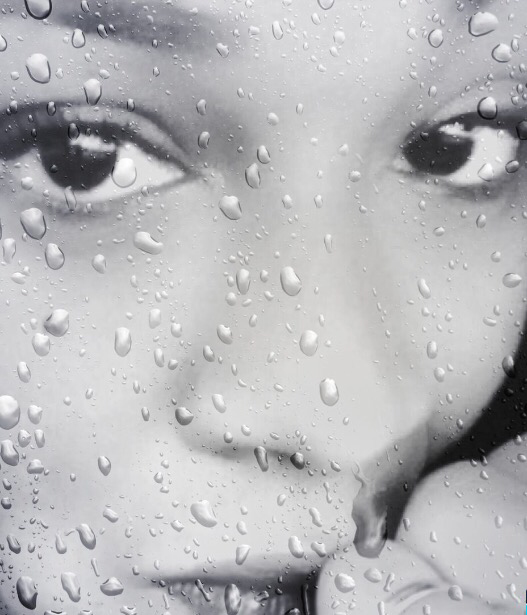 And I love the part about loving between the raindrops. And what a great quote by your friend. Don’t you just love it when all-of-a-sudden creative inspiration swoops into your heart. I do. Lol…thanks so much for that! And yes…I’m learning to seize every moment that breathes inspiration! Her one line inspired me to write immediately…. Oh, you’re more than welcome. Seize away. It only gets better. Like an addiction. Hehehe. LOL LORD knows I don’t know why! ROFL!!!!!!!! LMBO!!!!!!! HILARIOUS!!! Omgoodness Sean I almost fell out my chair!! Wait can I tell you… You are not the first person to solicit my impromptu love poem services! It just flows…smh! I need all of the help I can get!!! Sir I CAN’T with you tonight ok?! Lol!! I’m gonna be next to your table at Junior’s feeding you lines! Lol…no kicking under the tables…my face tells everything! LOL! I got chu covered when the time comes! That’s what little Sister’s are for…. Well… Not D from What’s Happening… but you get the gist! LOL! Yeah…ummm…thanks for clearing that up…D was a terror! I’ve nominated you for the Fire of the Dragon Award. Aww Hey Robert!! I can’t thank you enough for the nomination!authenticitee is actually an award free blog but I’m up for writing challenges should the occasion present itself & if time allows. You are so thoughtful! Beyond grateful!! Absolutely! I don’t take those nominations lightly at all. There’s such incredible talent in this space! Including your work! Take care!